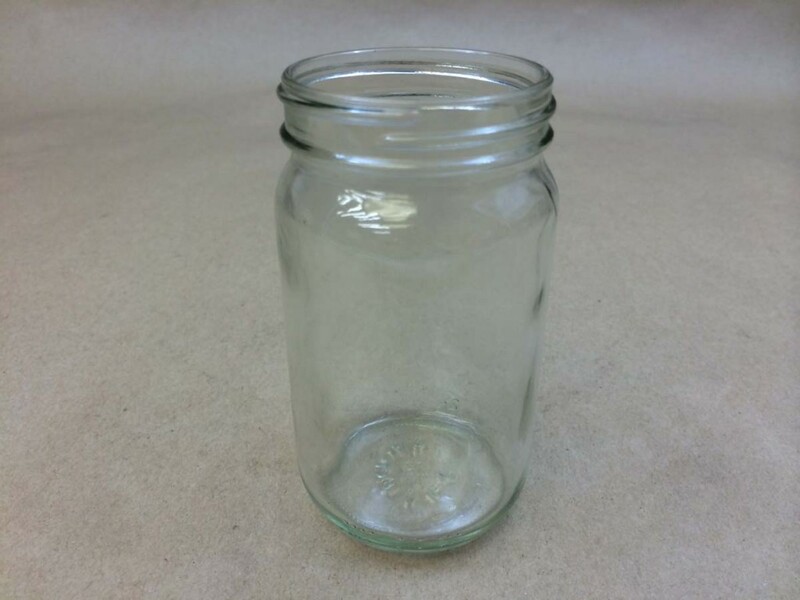 Yankee Containers carries a variety of food grade glass jars. 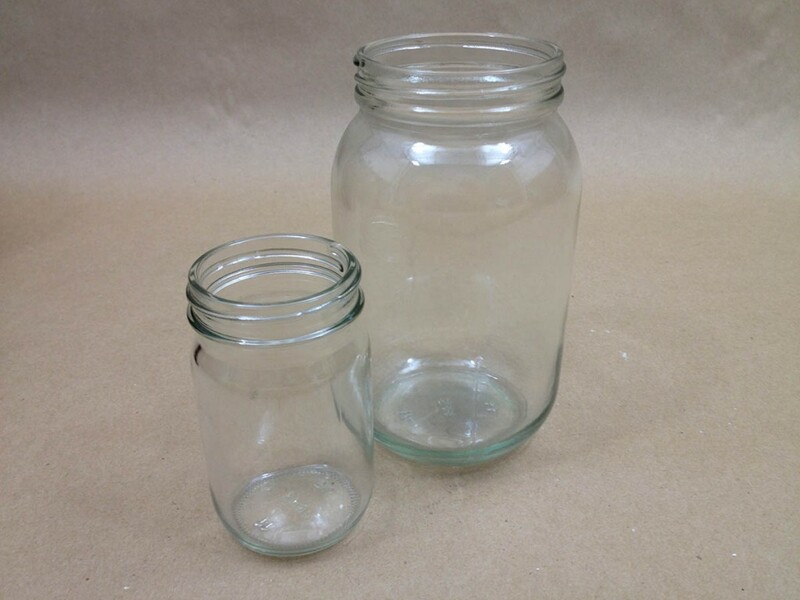 Among the different styles available are the standard round clear (flint) glass jars which have rounded shoulders. These are available in five different sizes. The smallest size that we stock is a 4 ounce clear which takes a 48mm cap. This is our item #OBC07758F24. These are packed 24 per case. This is the smaller jar pictured in the image at the right. One of our more popular sizes is the 8 ounce clear which takes a 58mm cap. This is our item# LEO259-02. These are also packed in cases of 24. The next size offered is the 16 ounce clear which is pictured on the right and takes a 63mm cap. This is our item # OBC05018F12. These are packed in cases of 12. 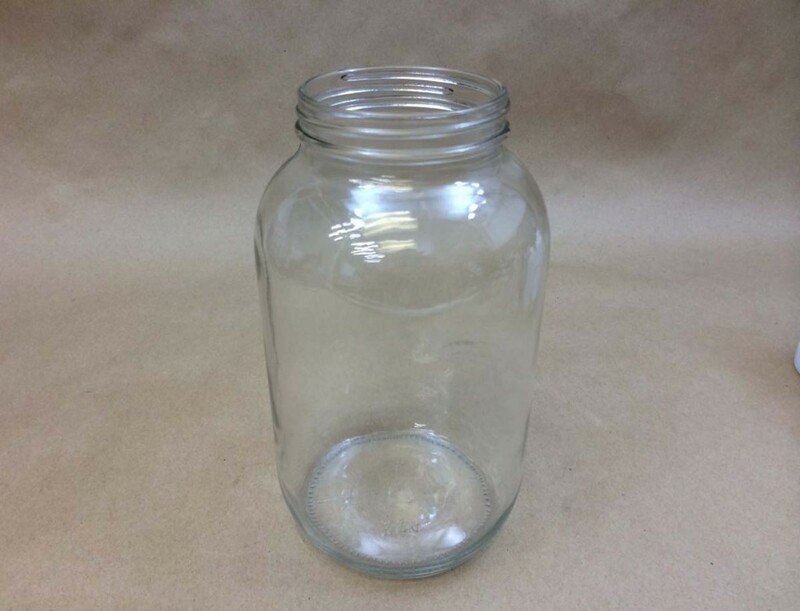 The next size offered is the 64 ounce clear standard round flint glass jar that takes an 83mm cap. These are packed 6 per case and is our item #OBC07788F6. 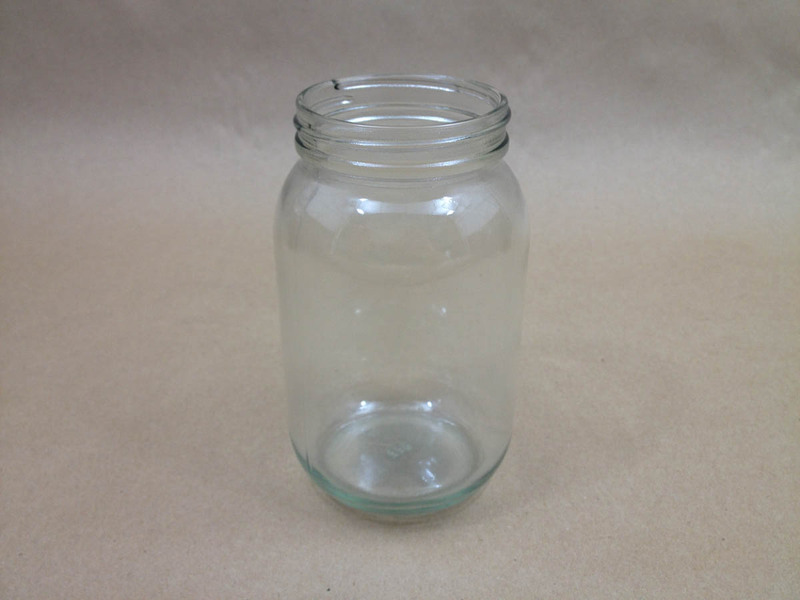 The largest standard round glass jar which we stock is the 128 ounce clear. That is our item # OBC08289F4. These come in cases of 4. Caps are sold separately.